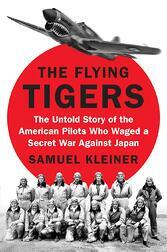 Tucson Native & Favorite PICOR Son Authors "The Flying Tigers, The Untold Story"
Sam Kleiner, the son of Cushman & Wakefield | PICOR shareholder Rick Kleiner and his wife Jan, is in the news on the occasion of the release of Sam’s book The Flying Tigers, The Untold Story. Published by Penguin Random House, the book has been released nationally earlier this month. The Flying Tigers, The Untold Story is the unforgettable account of a group of American airmen, led by legendary army pilot Claire Chennault, whose heroism on the eve of World War II changed the world, and who cemented an alliance between the United States and China as both nations fought against seemingly insurmountable odds. The book can be purchased locally at Costco, the University of Arizona bookstore, Barnes & Noble, and online through Amazon. The Arizona Daily Star featured an article about Sam along with an extended excerpt from the book in its Sunday May 27th edition. 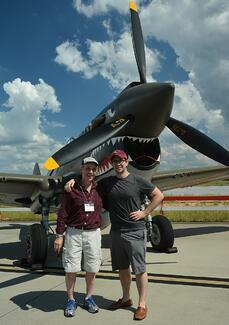 Here’s the link to the Star article, "American pilots signed on to fight for China against Japan." Other reviews, historical photos and further background can be can be accessed at www.flyingtigersbook.com. The entire Cushman & Wakefield | PICOR family is elated at Sam's endeavor and the stellar reception his project has received. We have seen Sam grow up knowing his future held great things. We are very happy for the Kleiner family and are staying tuned for what lies ahead!